Motivation comes fierce with the New Balance® 608v4. 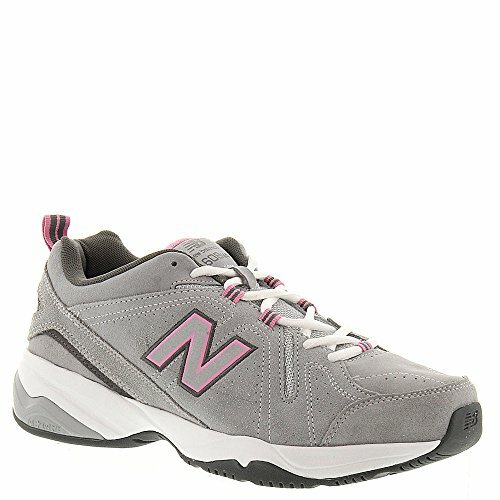 Women's training shoe. Suede upper. Dual-density collar uses both a softer density foam against the foot for cushioning, and a firmer density foam for support. Padded, mesh tongue provides breathability. Lace-up closure with combination gilly and hidden eyelets. Pull-tab at heel for easier on and off. Breathable textile lining and an EVA foam footbed for cushioning. IMEVA midsole for firm yet flexible cushioning. Internal shank for added durability and support. Nonmarking rubber outsole. 10mm drop. Medicare / HCPCS code = A5500 Imported. Measurements: Weight: 13 oz Product measurements were taken using size 7.5, width D - Wide. Please note that measurements may vary by size. Weight of footwear is based on a single item, not a pair.